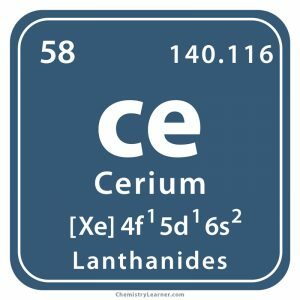 Cerium (pronunciation: SER-ee-em) is a soft, grayish metal that belongs to the group of lanthanides and is represented by the chemical symbol Ce [1, 2]. 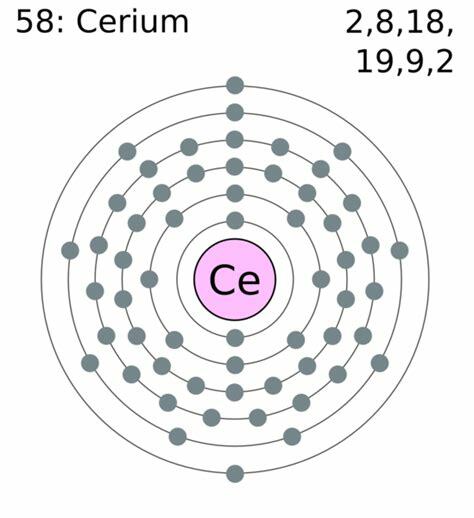 Its naturally-occurring isotopes include Cerium-136, Cerium-138, Cerium-140, and Cerium-142, out of which Cerium-140 is the most abundant (with 88.48% natural abundance) . Among the 35 known radioisotopes of cerium, the most stable is Cerium-144 that is characterized by a half-life period of 284.893 days . Cerium is commonly found in rare earth minerals like bastnaesite and monazite . The mineral ore is heated and then treated with hydrochloric acid to produce cerium oxide from which metallic cerium is isolated through electrochemical reduction . The metal can also be obtained through thermal reduction of cerium fluoride with calcium [1, 4]. While China, the CIS countries, and the USA have the highest cerium reserves, the top 3 cerium producing countries in the world are China, Russia, and Malaysia . Origin of its Name: It is named after ‘Ceres’, an asteroid that was named after the Roman goddess of fertility and agriculture . Who discovered it: The element was discovered by the Swedish chemists, Jöns Jacob Berzelius along with Wilhelm von Hisinger, and independently by the German chemist Martin Klaproth [1, 4]. In 1803, Berzelius and Hisinger discovered the new element from a reddish-brown cerium salt called cerite [1, 5]. While investigating the chemical reaction of the cerium salts, they found the two oxidation states – one of which producing yellowish-red salts and the other colorless ones . 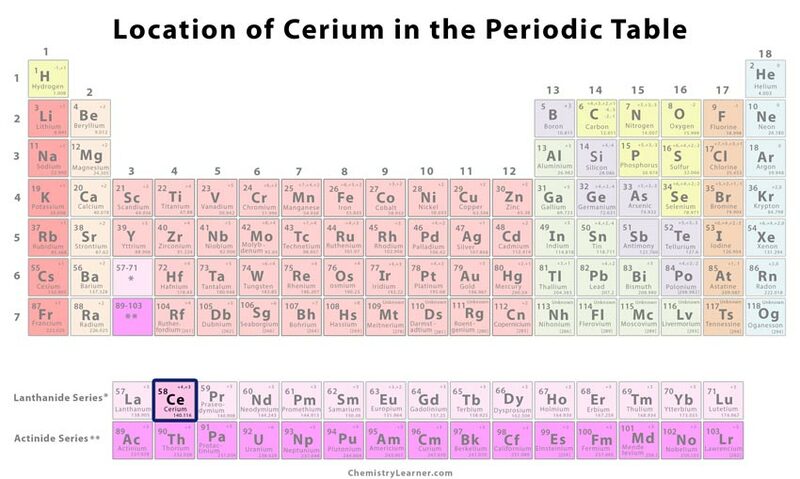 Although they did not isolate the pure form, they named the element ‘cerium’ and its oxide ‘ceria’ . Martin Klaproth analyzed the salt and concluded that it consists of an oxide of a new metallic element . He named the oxide ‘ockroite’ because of its yellowish-red color . However, the result of Berzelius and Hisinger was published before that of Klaproth, and so the name cerium was approved . The mischmetal alloy made of cerium, lanthanum, neodymium, and praseodymium mixed with magnesium oxide and iron oxide is used as flints for lighting cigarettes and gas [1, 5]. 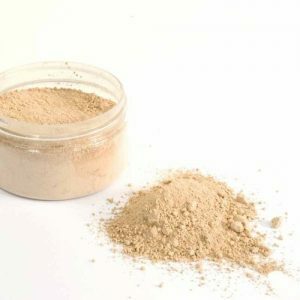 Cerium oxide, as a catalyst, is used in self-cleaning ovens for preventing the accumulation of cooking residues and for polishing glass surfaces [1, 5]. It is used in catalytic converters because it helps reduce automobile exhaust emissions . Cerium oxide nanoparticles are added to diesel for reducing the emission of soot and improving engine performance of vehicles . Cerium sulfide is non-toxic by nature and is used as a coloring pigment because of its rich red color . The element is used in phosphors in flat-screen televisions, floodlights, and energy-efficient light bulbs . Flammacerium, a compound containing cerium nitrate and silver sulfadiazine, is a topical ointment used for treating infections in burn wounds . The element 58 has no known biological roles and is low to moderate in toxicity [1, 5]. The image of cerium is a graphical representation of the asteroid Ceres, whereas the background is derived from an astronomical map of the 17th-century . 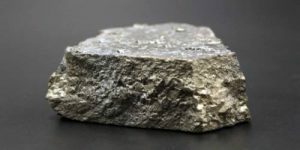 Its natural abundance is almost similar to zinc, but it is more than lead or tin . At room temperature, the element can readily oxidize . Pure cerium may ignite if scratched with a sharp metal object such as a knife . It decomposes in water to produce cerium hydroxide and hydrogen . 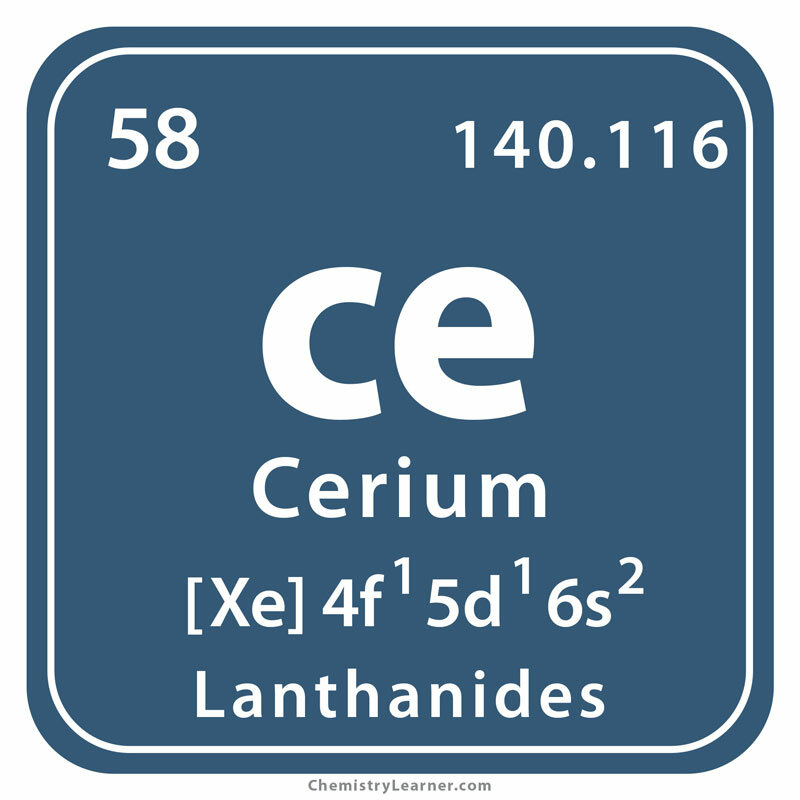 The cost of 100 grams of pure cerium is about $380, but in bulk, it is about $1.20 .